A slew of companies have filed for public listing this month, giving more options to investors. Let’s take a quick look at these new potential stocks. Elanco Animal Health, a subsidiary of Eli Lilly and Co. (LLY), has filed for an IPO to float its common stock. The IPO process is expected to close before the end of this year and Lilly is likely to own less than 20% in the newly public company. 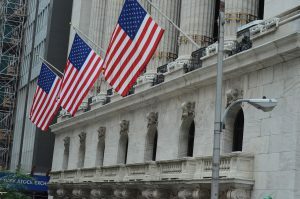 Animal health company Elanco is expected to float its common stock on the New York Stock Exchange (NYSE) under the ticker ELAN. The underwriters for the offering will be Goldman Sachs, JPMorgan, and Morgan Stanley. Cannabis magazine publisher High Times Holding Corp. has filed for public listing and will become the first ever company to accept investments through Bitcoin and Ethereum. High Times will likely start trading in the third quarter on the Nasdaq Stock Exchange. Started in 1974, the New York-based magazine provides daily cannabis news, weed information, and reports on marijuana culture. Tesla’s (TSLA) Chinese rival Nio is raising $1.8 billion for an IPO on the NYSE. Nio is the first Chinese EV startup to file for a US listing. 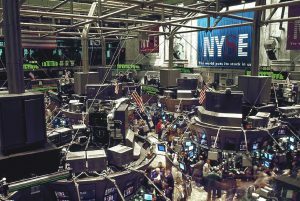 The shares are likely to be listed on the NYSE under ticker ‘NIO’. Lenovo, Temasek, Tencent Holdings, and Baidu Capital were the company’s investors. Nio, which was founded in November 2014 as NextCar Inc. and changed its name in July 2017. Nio launched a seven-seater electric SUV, NIO ES8, in December 2017 at half the price of Tesla Model X. The company is racing ahead in coming out with new products as it is gearing up for the launch of the EP9 racer car that was introduced as a concept in 2016. In addition, by the end of 2018, Nio is likely to launch another cheaper five-seater electric SUV, the ES6. Farfetch, an online luxury marketplace, has filed for an IPO. The company, which has a valuation of about $5 billion, sells designer clothing online from established brands like Gucci and Burberry. The company was founded in 2007 by Portuguese entrepreneur Jose Neves and will trade on NYSE under the ticker ‘FTCH’. Platinum Equity is seeking a possible sale or IPO of backup power and fail-safe systems provider Vertiv. After raising money through the offering, the company will likely be valued close to at least $6 billion, according to Reuters. Vertiv has been conducting informal meetings with a number of prospective bidders, including private equity firms. Vertiv makes systems and provides maintenance for backup power and other safety systems to data centers, communication networks, and commercial and industrial environments. Online live event ticketing platform Eventbrite filed for a $200 million IPO to repay debt and raise working capital. It is likely to be listed on NYSE as ‘EB’. Goldman Sachs, JPMorgan, Allen & Company, and RBC Capital Markets are the joint bookrunners on the deal. The company charges for tickets sold for fundraisers, seminars, wellness activities, concerts, classes and other events. In 2017, more than 700,000 event creators used the site to issue 203 million tickets for events in 170 countries. Cancer immunotherapy biotech Gritstone Oncology intends to raise up to $80 million through an IPO. The company is likely to be listed on the Nasdaq under the ticker ‘GRTS’ ticker. Goldman Sachs, Cowen and Barclays are the joint bookrunners on the deal. Related: Saudi Aramco IPO: Canceled or not?